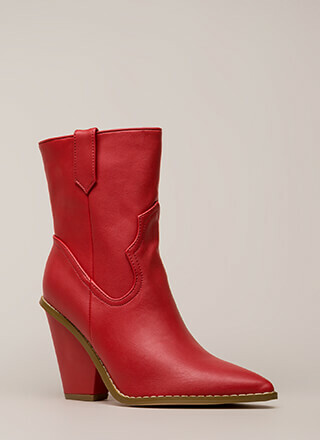 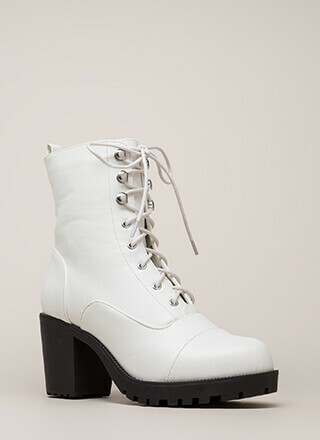 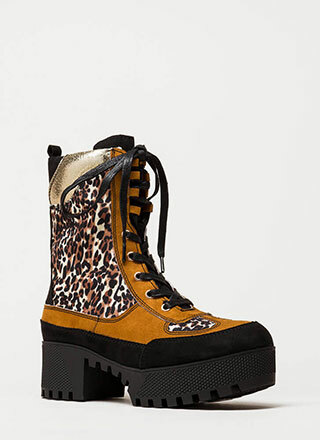 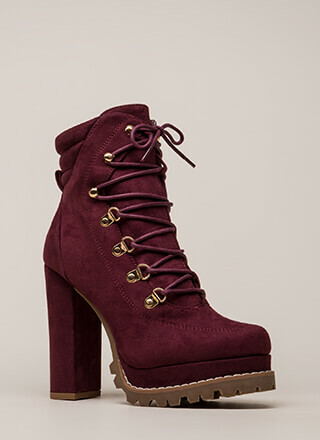 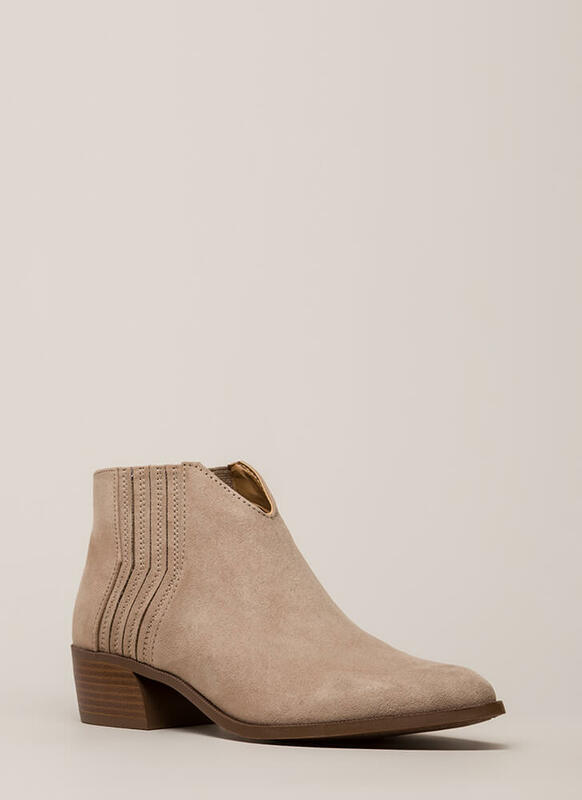 Moving forward you're gonna wanna pair these booties with, like, every outfit you own. 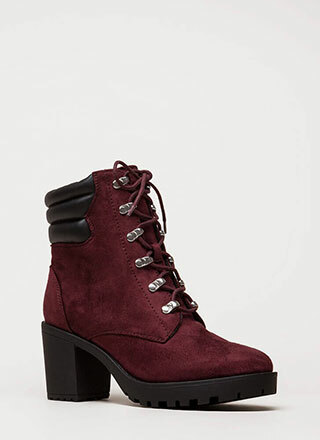 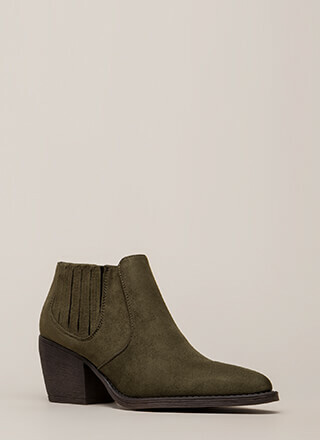 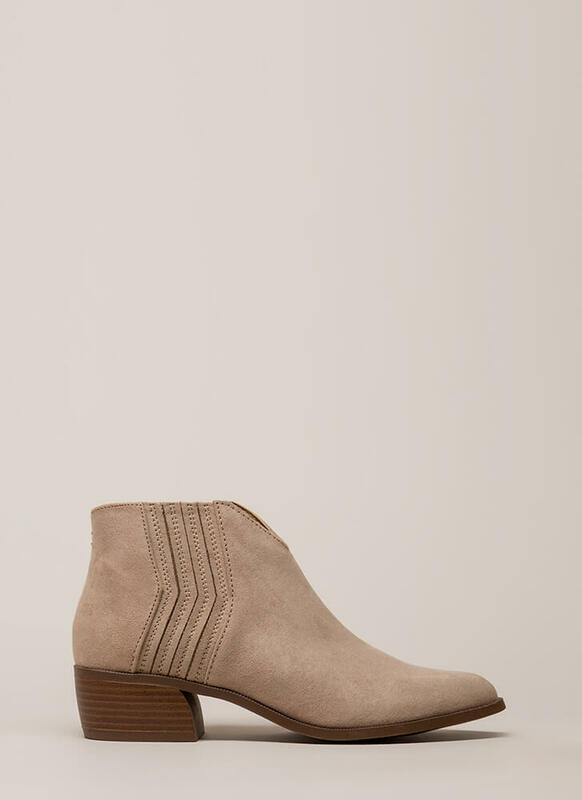 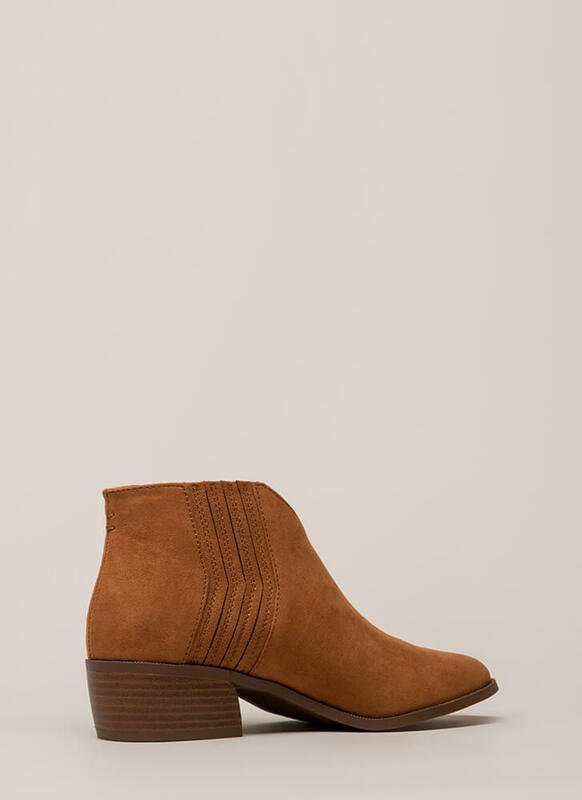 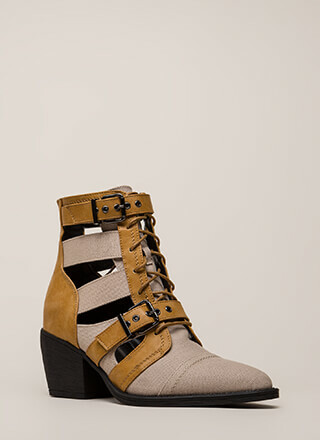 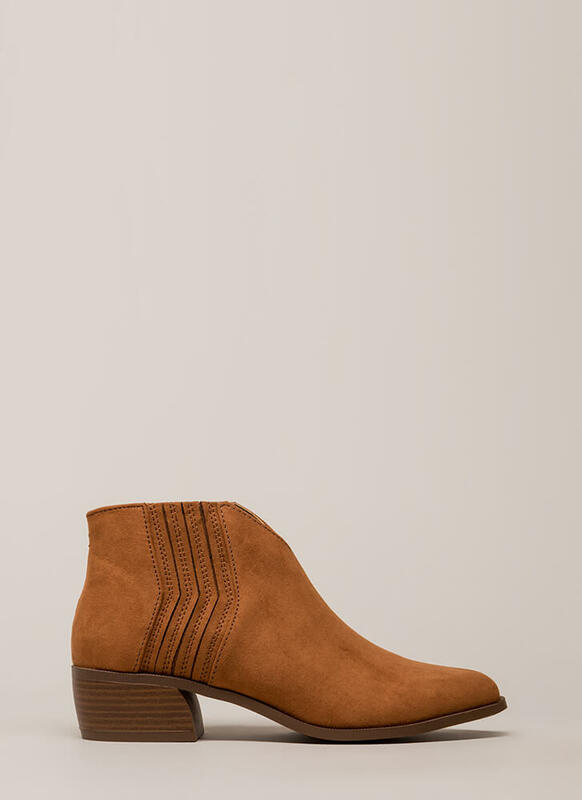 Chunky vegan suede booties feature a notched front, a block heel with a stacked surface, and chevron-shaped pleats on the sides that are finished with stitched accenting. 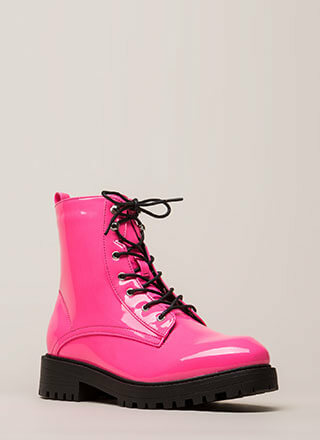 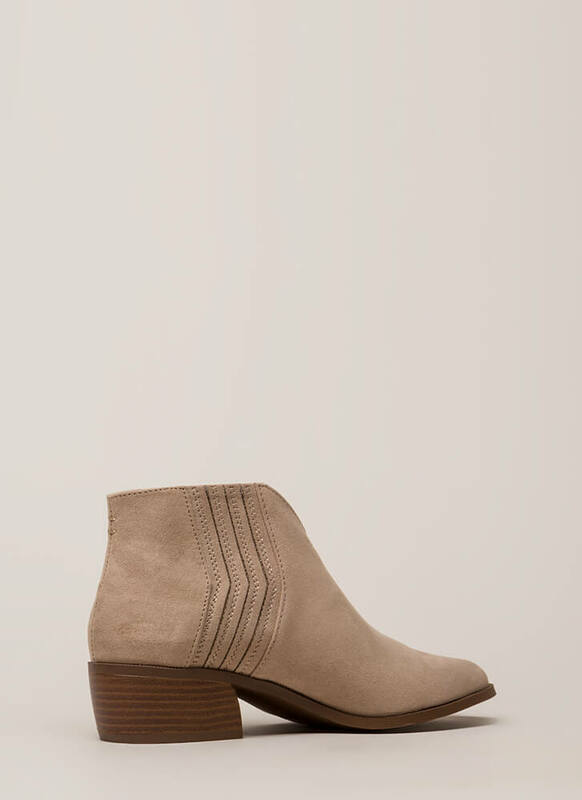 Ankle boots also include a ridged sole and no closures.